Phone Today to Make Your Booking! Phone 07 3088 7731 To Make Your Booking. Finding the best carpet cleaning company in Australia can be a daunting task. With the number of low-quality, fly-by-night carpet cleaning firms around the country, getting the wrong service providers could mean further destroying the fabrics of your carpet or not getting the results you are expecting. Here at Stain Pro Carpet Cleaning, we don’t just provide quality service, we also offer carpet cleaning works that fit right into your budget. In this page, you will find our latest special offers, discounts, and deals… giving you, our dear customers, the right value for your money. 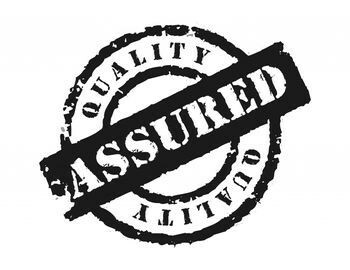 And as part of our commitment to total customer satisfaction we are offering a money-back guarantee, just in case you are still not satisfied with our cleaning service, although we are confident that we will surely meet or even exceed your expectations. Just give us a call and we will visit you for an initial assessment of your needs. We will then provide you with suggestions on the type of cleaning that you will need and the different money-saving packages that we have to offer. We also assure that you will only be billed by the amount of work we will perform, without any nasty hidden fees and extra charges. As our way of thanking our loyal customers for keeping us in business over the past 10 years, we will be giving away discounts and special deals for repeat clients. This means the more you call us for your cleaning needs, the more money you will be able to save! We also have special deals for bundled cleaning services. When you avail of mattress cleaning together with our steam carpet cleaning or dry carpet cleaning services, you will get special rates for the bundle. Upholstery cleaning can also be bundled with carpet cleaning or rug cleaning services for better pricing deals. Stain Pro Carpet Cleaning is committed to serving the carpet cleaning needs of our customers in Australia. And while other cleaning companies focus on how to increase their profit, we remain committed to our mission of providing high-quality services at very affordable rates. Our price is cheap because we have plenty of customers to keep us going – customers who always put us first every time they need someone to clean their carpets, mattresses, rugs, upholstery, and tiles. Please visit this page regularly to find out the latest cleaning packages, service promos, discounts, and special offers that we will be launching as part of our mission to remain one of Australia’s top and affordable carpet cleaning companies. Looking for Cheap Carpet Cleaners? Stain Pro has monthly specials for cheap carpet cleaning deals in Brisbane and surrounds, choose your deal and call us today to make a booking. Copyright © 2017 Carpet Cleaning Brisbane.